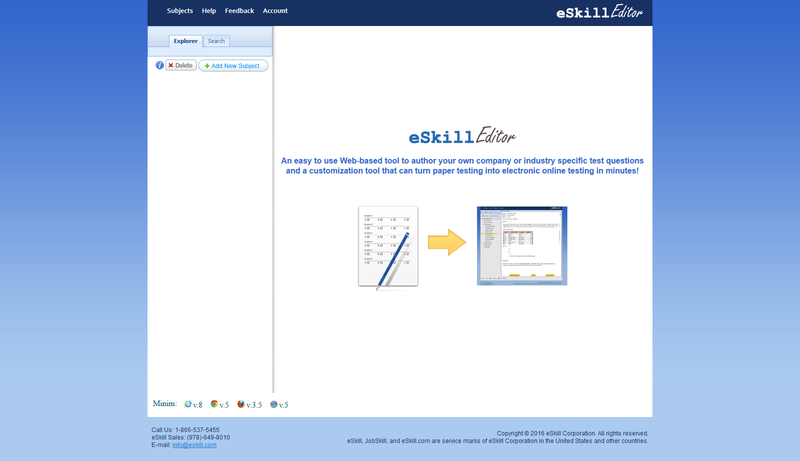 Integrating eSkill’s online skills testing services with SmartRecruiters will create a seamless recruiting process that evaluates and ranks applicant skill levels, thus increasing the effectiveness of both services exponentially. 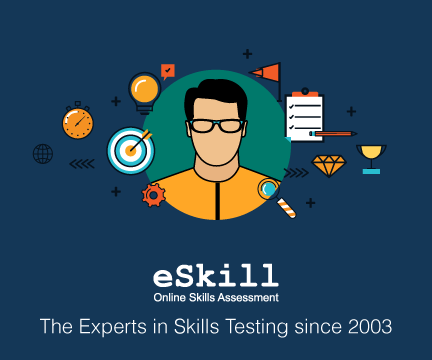 As an innovator in professional skills assessment technology since 2003, eSkill provides online testing for applicant screening and staff training to thousands of staffing firms and HR Departments worldwide. A flexible online testing platform that lets you pick the subjects, questions, and skill levels you need for maximum relevance and validity. 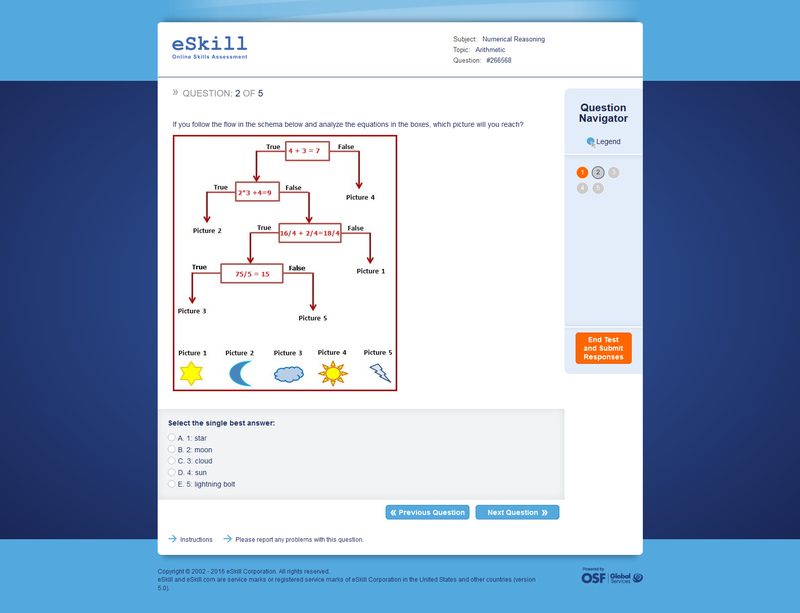 An authoring tool for creating or uploading your own questions and subjects. 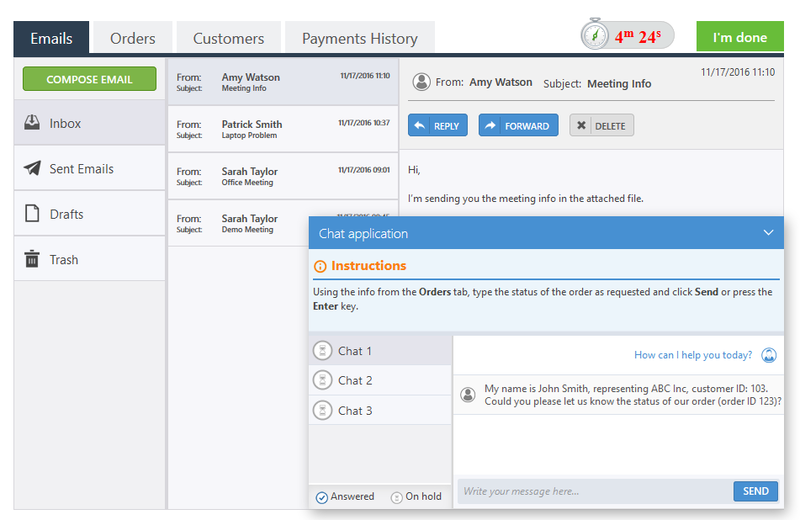 Upon request, customers can opt for additional consulting services for the eSkill application integration into ATS systems like SmartRecruiters or other systems. 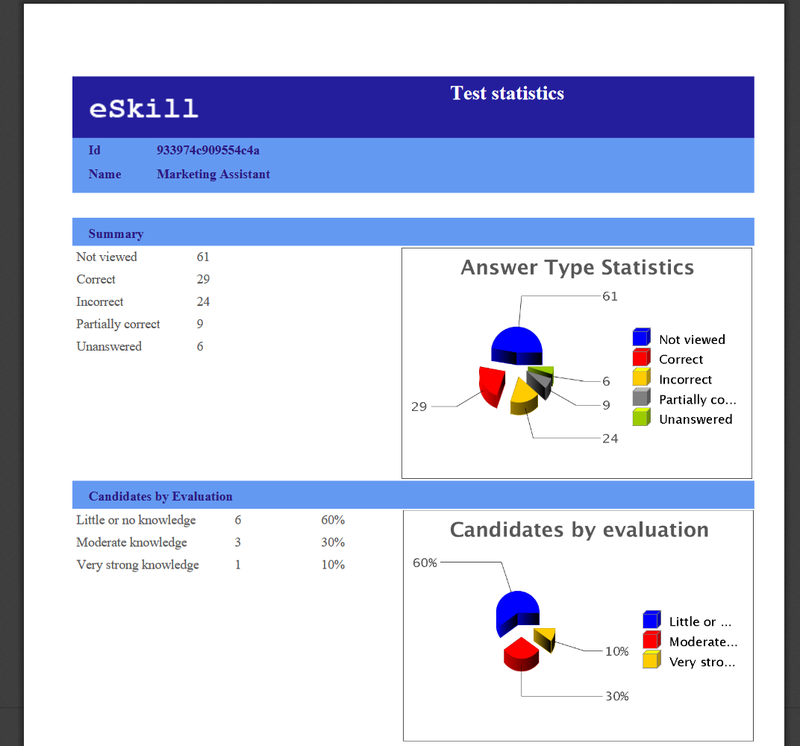 Make customized tests available in Smart Recruiters, via the integrated connection with eSkill. Want to learn more? 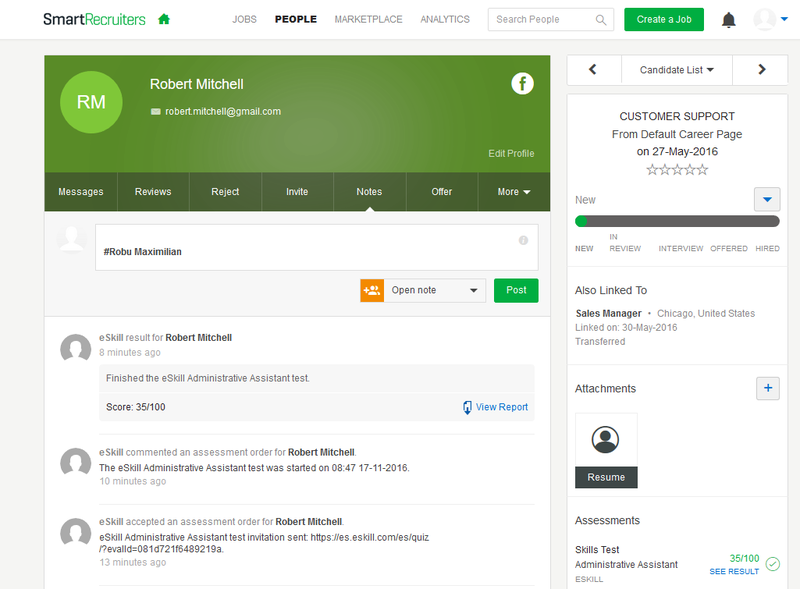 Get Started today and you will be contacted by the eSkill & SmartRecruiters Marketplace team shortly.